Inspiration takes many forms. Newton had the apple. Franklin had the kite and a bolt of lightning. Harrison and Clapton BOTH had Pattie. You get the idea. We have an intersection. And everyone's favorite finger food, the Buffalo Wing. We thought the wing needed the perfect beer. Edison said invention is 1% inspiration and 99% perspiration. We're not sure about percentages, but finding the right recipe was an awful lot of hard work. Months of tasting beer just to find the right taste. Trial and error and the occasional headache. No, don't thank us. We're not heroes. Someone had to take the bullet for you. 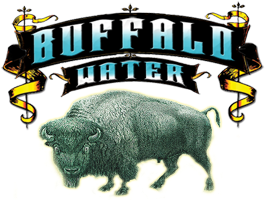 Now you don't have to make the same mistakes we made, you can enjoy our flagship lager, Buffalo Water Bison Blonde! Get your game on for opening day, and pick-up some ice cold Buffalo Water Bison Blonde all-malt lager. You want need a cooler to tailgate today! In Honor of Buffalo Water Bison Blonde being rated the #1 Lawn Mower Beer. 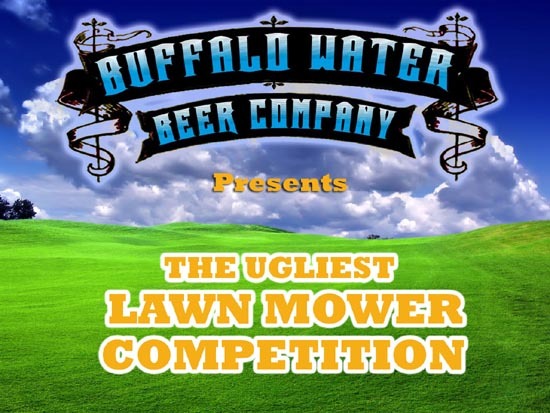 Buffalo Water Beer Company is kicking off a competition for the UGLIEST LAWN MOWER. We, At Buffalo Water want YOU to submit a Video or Picture of the Ugliest Lawn Mower Known To MAN! THE WINNER WILL RECEIVE A FREE SUMMER SUPPLY OF BUFFALO WATER BEER! We will start accepting submissions starting Memorial Day 2011. For Submissions - Details - Questions - or to say "Hi"